After my ex-voto workshop with Keith Achepohl, having made my piece for gratitude for prayers answered, I set this art in my studio. It percolated and vibrated and informed my new canvas for more healing. When we simply juxtapose ideas or colors or fabrics or foods or layers we can recognize patterns which we always work with. I speak of soulful patterns, those which guide and guard and beckon us to our next phase and even a new level of daily existence. As I work this canvas, Tree of Life ideas come through. Globally, throughout multiple cultures and philosophies, the Tree of Life template overlays much of our connectedness with the cosmic spiritual spacial order. As sensate human beings, we host our own unique health-giving vibratory Tree of Life within our energetic chakra systems. We all have this. The balancing quest is to have our major chakras spinning and living and imbuing our systems in a balanced way. Nothing is ever equal, ever balanced, but it is a nice endeavor. These are a few puzzle pieces of my Tree of Life painting-in-process. 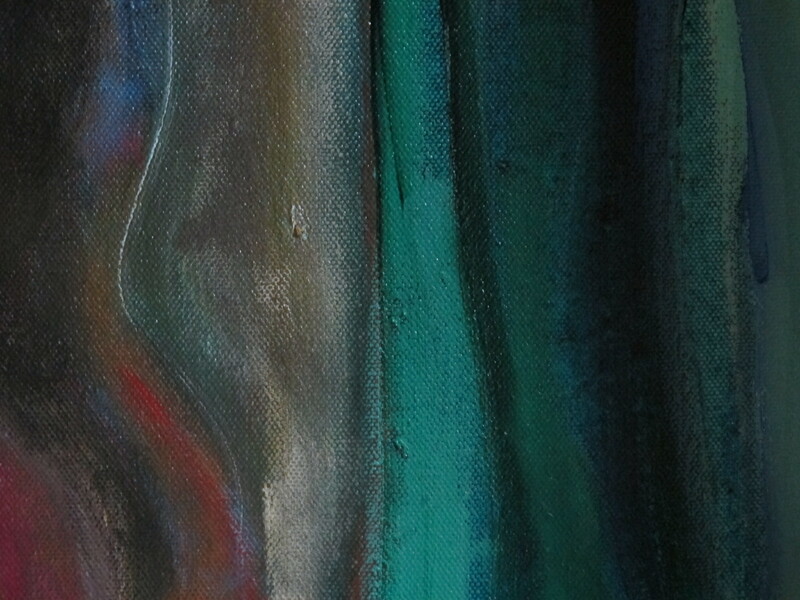 Parts of it actually disturb me, and that makes it an energetic quest to realize why and how I can create a more soothing soulful piece of art, because that is what I am doing right now. Todays prompt is to consciously acknowledge what works you, has always worked you, and will continue to work you from your depths, simple to bring you to your place of peaceful embrace. 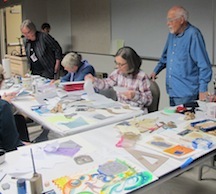 I attended an Ex-Voto workshop at the beautiful Hallie Ford Museum in Salem, Oregon. 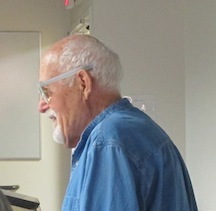 The facilitator was the inimitable Keith Achepohl, who achieves the beauty- and grace-filled age of 80 years this week. Kate Wagle of the University of Oregon has written a book to accompany his 40 piece exhibition at the Hallie Ford Museum. She includes history of the ex-voto, plates from the exhibit, and dialogue with Keith as the book was created. 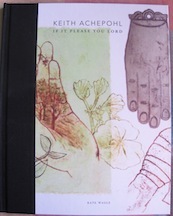 It is a sleek, inviting book entitled: Keith Achepohl, If It Please You Lord, available from the museum. With an exhibit and book title such as this, I ran to participate. I found more than my personal musings of sentimental gratitude of Spirit’s answers to my callings. I found a person rich with life and joy and humor and professionalism and craft and longevity. What a treat! Today’s prompt is to recognize with wide-eyes and open-heart those gems and jewels who simply swirl sweet strong significant energies into our world. In the meantime, I continue into a piece around honoring the Beauty Makers. This began with an impress to honor some four-leggeds, and then the sweep of definition around its sacred hoop became Hawk. 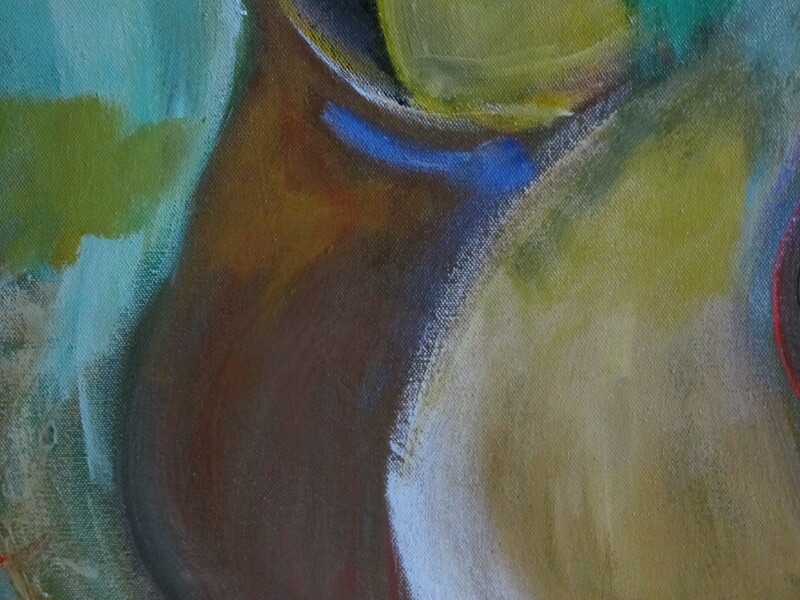 I do not yet feel closure with this canvas, there is a color adjustment and meditation with this spring hawk, then she will be strengthened unto her purpose in this painted form. Wishing you a day of beauty & Light!